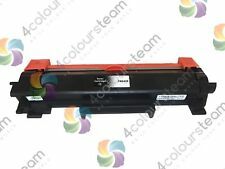 Brother TN-2220 Genuine Black Toner Cartridge - Condition is New, but been opened. Dispatched with Royal Mail 2nd Class. Please note this item has been opened and tried in printer, didn’t fit and put back in box. Compatible with: Brother MFC-J 5910 DW, 6510 DW, 6710 DW, 6910 DW. Product Details & Key Features. 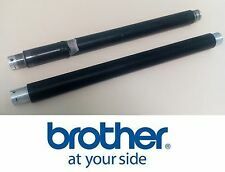 Genuine Brother TN-2220 High Yield Black Toner Cartridge Brand new SEALED. Condition is New. Dispatched with Royal Mail 2nd Class. Brother Genuine TN6300 Toner Cartridge New. Dispatched with Royal Mail 2nd Class. Brother DCP-J132W DCP-J152W DCP- J4110DW DCP-J552DW DCP-J752DW. Brother MFC-4410DW MFC-J4510DW MFC-J4610DW MFC-J470DW MFC-J4710DW MFC-J650DW MFC-J6520DW MFC-6720DW MFC-J6920DW MFC-J870DW. FOR USE IN THE FOLLOWING PRINTERS. 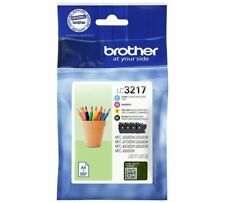 Genuine Brother LC225XL High Capacity Cyan Ink Cartridge. Condition is New. Dispatched with Royal Mail 1st Class. No longer needed as have a new printer. A fantastic little label printer with label editing software & 2 free starter rolls. Compatible Ink, Toner & Labels. HP Toner Cashback. Product Type: Toner. Colour: High Capacity Black. They will require a signature. Manufacturer Part No. : TN2320, TN-2320. HP Cashback. Duty Cycle: Approx. Genuine NEW Brother QL500 Professional Thermal Label Printer 1 FREE Roll (up to 100 labels) Included. The QL-500 has the ability to print on rolls of continuous film, up to 3 feet long, which makes it perfect for custom signage or banners. Manufacturer Part No. : TN-241BK, TN241BK. Compatible Ink, Toner & Labels. HP Toner Cashback. Product Type : Toner. Brother DCP-9055CDN. Brother DCP-9055CDW. Brother DCP-9270CDN. Condition is new. Warranties are pictured. LC129XLBK Black, 1No. LC125XLY Yellow, 1No. LC125XLC Cyan, 1No. LC125XLM Magenta. DR-2300 BLACK IMAGING DRUM UNIT. Brother DCP 8040 Multifunction USB Parallel Mono Laser Printer 8040 V2G. Three sets of original Brother MFCJ6920DW ink cartridges. ORIGINAL PRINTER INK FOR BROTHER PRINTER. 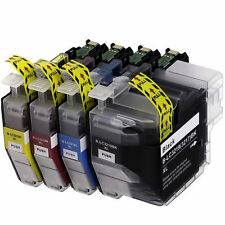 3 FULL SETS of Ink cartridges for BROTHER MFC J6920 printer.. The Brother TN7600 high capacity printer toner supports high resolution printing, too. Duty Cycle:Approx. 6,500 pages @ 5% average coverage. Product Type:Genuine. BROTHER MFC-J6520DW. BROTHER MFC-J6720DW. BROTHER MFC-J6920DW. 1 x black ink @ capacity of 50ml & approx yield of 2400 pages. 1 x cyan ink @ capacity of 13.1ml & approx yield of 1200 pages. 1 x magenta ink @ capacity of 13.1ml & approx yield of 1200 pages. New and Sealed. This is available Worldwide. Brother MFC-J895DW. Brother MFC-J890DW. Brother DCP-J772DW. Brother DCP-J774DW. Compatible Ink, Toner & Labels. HP Toner Cashback. Brother DCP-9015CDW. Brother DCP-9020CDW. Brother HL-3140CW. Brother HL-3150CDW. Brother HL-3170CDW. 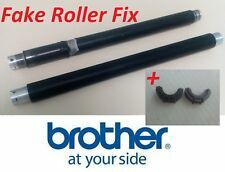 Brother MFC-9140CDN. Genuine Brother LC225XL High Capacity Magenta Ink Cartridge. Condition is New. Dispatched with Royal Mail 1st Class. No longer needed as have a new printer. This is a thermal printer, you must use thermal paper with it. It will not print on normal paper. The printer is original new in the original box with all the accessories included. Compatible Ink, Toner & Labels. HP Toner Cashback. Brother DCP-7030. Brother DCP-7040. Brother DCP-7045N. Brother HL-2140. Brother HL-2140W. Brother HL-2150.